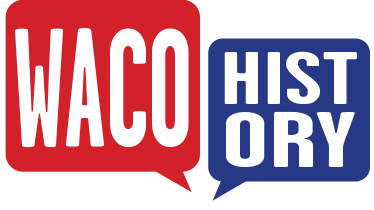 ID: 2429 ~ Source: Horace Sherman Miller Collection, The Texas Collection, Baylor University. 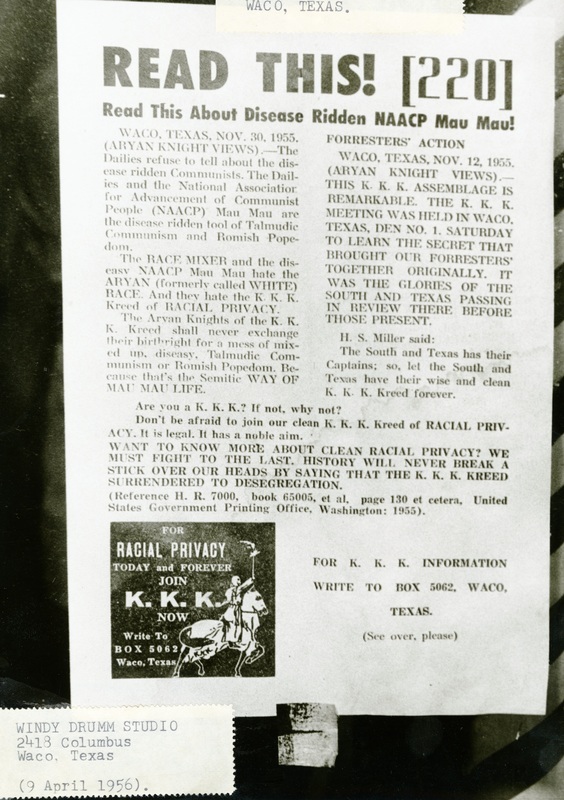 This recruitment flyer hung in a Waco shop window in the 1950s, showing the tangible KKK presence. Horace Miller is quoted on the flyer.